it has now parted ways with its ad agency of 74 years. The brand worked with JWT since 1944, making it one of the longest standing creative agency partnerships in the world of FMCG marketing. The agency masterminded the Happy Little Vegemites work – one of the most enduring Australian advertising campaigns. J. Walter Thompson says while it's disappointed not to be working with Bega on the next chapter of the Vegemite journey, the agency is particularly proud of the agency’s role in building one of Australia’s most iconic and loved brands. “We’ve been the constant during three brand-ownership changes, a shifting social landscape and reshaped breakfast category,” a JWT spokesperson says. Thinkerbell says in a statement it hopes to “challenge the creative minds behind the Vegemite and Bega brands and help move them forward with a strong and insightful new strategy that seeks to bring science and creativity together”. The change in ownership kick-started a desire to “re-invigorate” its creative agency roster and introduce a “bold and ambitious approach” to brand management. Ben Hill, Bega Foods marketing director, says: “Through recognising the strength in our Australian heritage and our need to focus on the future to continue positive momentum, we felt the time was right to refresh our creative agency. "Thinkerbell - a new cutting-edge Australian agency - represent everything that we want our brands to deliver. Thinkerbell is less than a year old. It was founded by former Cummins&Partners team Adam Ferrier, Ben Couzens and Jim Ingram in June last year. 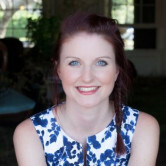 Former OMD managing director Margie Reid joined as partner in October. Its mission statement is to fuse science and creativity. Thinkerbell is also taking on Bega's Peanut Butter brand. Ferrier says: "We feel a great responsibility and are thrilled to be at the helm of the creative execution to drive the future success of brands such as Bega and Vegemite, two of Australia’s most loved and iconic brands." JWT adds that it's proud of having one of the longest and most successful agency/brand relationships in the industry. “While it’s worth noting that we were actually awarded the most recent campaign work as the result of a competitive pitch last year, the length of our relationship is testament to the ongoing effectiveness of our work for Vegemite,” a JWT spokesperson says. 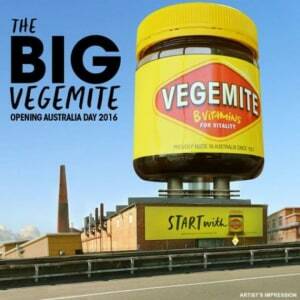 Vegemite is one of Australia's most iconic brands, but it's going through a period of change. After being sold by Mondelez last year and snapped up by Australian company Bega, it has now parted ways with its ad agency of 74 years.